Doors 7pm for 7:45pm start. FREE! 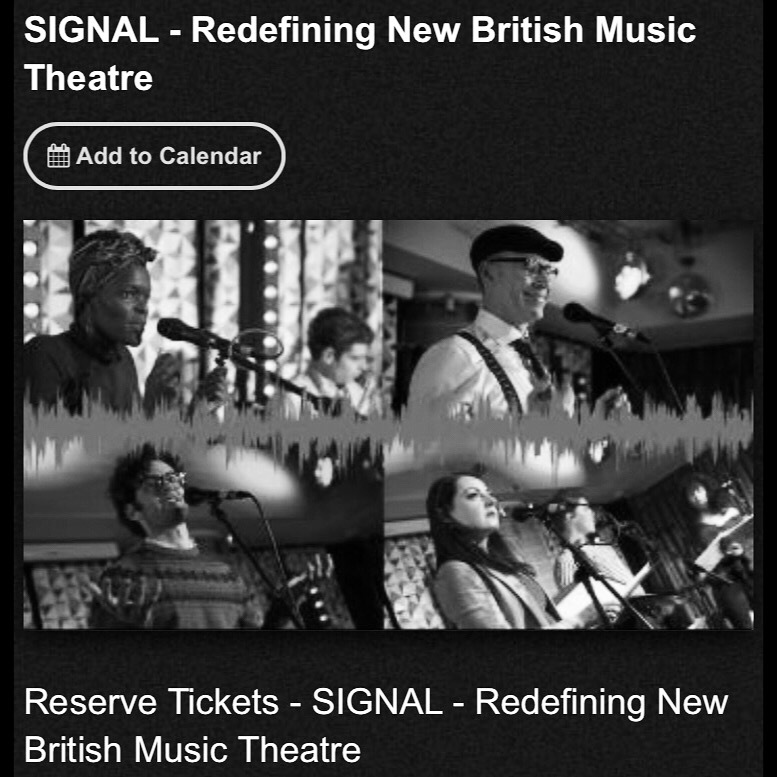 Following the sell-out success of our debut event, SIGNAL is back for another evening of the best new British music theatre. Last time we presented world premiere material from songwriters, including Girl From The North Country’s Sheila Atim, Stiles & Drewe Award Winner Darren Clark, S&S Award Winners Kate Marlais and Alex Young, Hospital Club favourite Vin Goodwin and PRS Award Winner Zara Nunn. Curated by top London musical theatre director Adam Lenson and featuring a fusion of musical styles. This is an evening for those who love musicals and more importantly, those who think they don’t. Featuring some of the West End’s best performers and accompanied by a live band, Britain’s leading composers and lyricists will once again break the mould of what you might think a musical is. So join us in The Oak Room for a second dose of innovative work from an array of talented writers.